Google rankings are more of a digital marketing KPI. It’s comprised of many things beyond “simple SEO”. Taking a strategic and systematic approach to the wholistic Digital Marketing process, through the lens of Google, gives much better results than just focusing on keywords as the ONLY aspect of SEO. It’s important to take a strategic approach to content marketing. Knowing your audience and what they need is the first step. Then be strategic about posting content. One example is to have series of posts that can then be re-packaged as e-books, Amazon books and perhaps a podcast campaign or training program. This way, you are able to get great leverage out of the work and time spent on creating the content. Phil says that 99.9% of websites don’t do more than be a digital brochure – so they are not really acting as a marketing tool for the business and not ranking in the search engines. Websites should be built as a marketing platform, as the referral source for everything you are doing online, with a strategy. It is an investment that is a revenue generating asset. We are in the golden age of digital marketing – it’s still in the early stages and people who embrace it now, will get a huge advantage, that is sustainable for the long haul. Google have an army of quality raters, that manually check content. The Google Quality Raters Guidelines is one of the most important documents in SEO. It shines some light onto the Google Search Algorithm. It can be downloaded from Google. The three things they emphasise to their raters are Education, Authority and Trust. So, you need to show these things to the search engine, to improve rankings. Rich media such as video does not directly impact rankings, but it may increase dwell time which is a qulaity signal for Google. More importantly, video does two things: (1) It builds trust on your visitors. (2) It gets an actual testimonial reviews and it increases conversion. Phil is a big fan of keeping the video on your own website, as opposed to, say, Facebook Live. Reviews are powerful trust factors and are proven to increase conversions. Testimonials are better than just rating reviews and video testimonials are even more powerful. If you have an idea, take action – without the action, any innovative idea will not get off the ground. Focus on the people you are serving and the problem you are solving; then build the idea on that. Be part of online groups where you can share information and learn from others to help you deliver greater value to your customers. Information provided on your website – content – is critical to your ranking and will get your audience coming back to the website. Phil is very strategic in all the content he produces. The book is an introduction to scaling up his web design agency via licensing his system, creating courses, and other systems from that. Interview podcasting is a great way to generate content that essentially is a guest blog post for both the host and the guest. It is a hugely valuable way of organic link building. Here are Phil’s answers to the questions of our Innovation round. Listen to the interview to get the full scoop. #1 thing to be more innovative – Take action. Without action, there is nothing. Best thing for new ideas – Look at the problems and solutions the way people see it and try to reverse engineer it. Create content around what others have created. Favourite tool for innovation – Your best productivity tool is YOU, that you don’t get sucked in to the next new shiny thing. Discipline yourself. Be a part of group where you can trust and share ideas with, so you have more information. Keep project / client on track – Document stuff by making a blueprint. Treat a project like building a house by making some architectural blueprint. Differentiate – Take action to differentiate yourself. Get yourself out there, join networks and be the authority in your niche. Believe you are the authority in your niche and take action to make that a reality. Have a web-centric strategy for everything. Build your authority with that website. Make it the source of your body of work. You can reach out and thank Phil via The SEO for Growth website or Phil’s LinkedIn Page. Phil suggested John Jantsch of Duct Tape Marketing and Nina Radetich for me to interview on a future InnovaBuzz podcast. 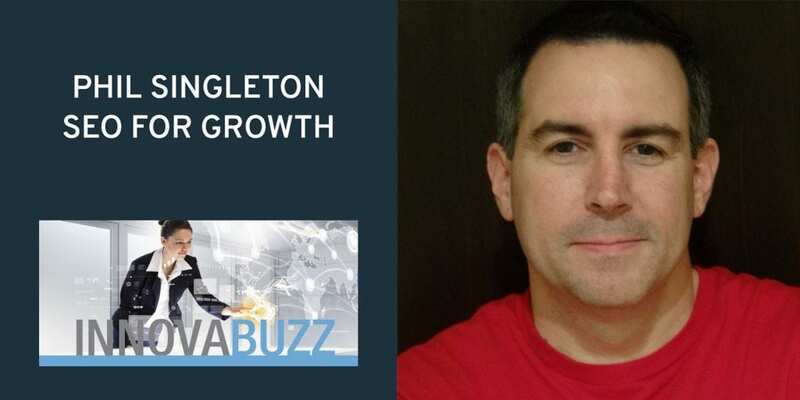 So John and Nina, keep an eye on your inboxes, for an invitation from us to the InnovaBuzz podcast, courtesy of Phil Singleton from SEO for Growth. Phil is fluent in Mandarin Chinese and has lived and traveled extensively in Asia for over ten years, based in Taipei, Taiwan, with stints in Beijing, Shanghai, and Hong Kong. 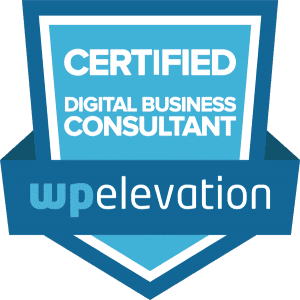 In 2016, Phil released a new WordPress plugin titled WP SEO Structured Data Schema, that’s been downloaded over 40,000 times in the first few times. Phil is also author of the Amazon best-seller How To Hire A Web Designer: And Not Get Burned By Another Agency.